Home / Business Idea / How to Start an Air Conditioning Service Business ? How to Start an Air Conditioning Service Business ? One of the common emerging businesses is the AC rental business in the urban areas. It has not yet reached the rural areas to benefit the people. With the onset of the summer seasons, it starts to become uncomfortable for the people to use the fan or the cooler. The main function of the air conditioner is to keep the temperature of the room cool even during hot summer days. Therefore, it often becomes necessary for the small enterprises, and households to get the AC on rent. Due to the rising cost of the AC, people may not be able to afford the same. Due to different reasons, people stay out of their house for most of the time in the day. After coming back to their home, they are in need of some basic comfort and one of them being the AC. In addition to this, since the utility of the machine is mainly seasonal, people may not consider it necessary to buy the same. All these have given rise to the emergence of AC rental service. Irrespective of the size of the business enterprise, it is often preferred to rent the AC machine other than buying it such that it would help the companies to make it easy on the budgets and expenses. Therefore, considering all these factors, renting is the best option that purchasing the AC machine. Also, you can choose to opt for the rental service from such units who would offer the service at an affordable rate. It would be helpful for the business units to maintain their needs and get the minimum of comfort from the rental service. It is a good source of earning money as the rental services can earn money by offering AC service to different business units. Human beings are always in want of comfort, and they work hard to meet the basic requirements. With the increasing heat during the summer seasons, it is almost becoming a necessity to install an AC machine. But for the ones who are not able to afford the machine, the AC rental service would offer the service at an affordable rate such that the business organizations are able to get the comfort. Also, the situation could be such that due to tight future plans, the business unit is not able to afford the AC machine, and therefore, it is better to seek help from the rental AC service. In this way, the AC rental service has come into being. What are the basic requirements of the rental service? The basic responsibility of the service provider is to help people who need to install the machine. It is often found that in case of domestic need, people prefer to buy AC machine instead of seeking help from the rental services. People often prefer buying the AC from commercial units instead of taking help from the AC rental services. People might look for the authentication of the rental service. The rental services are expanding slowly and thus, people are becoming more aware of the same. What are the step by step procedures to start the AC rental business? After buying the AC machine, the rental service starts the business and slowly starts to offers the machines on rent. In the beginning, it might seem to be an easy process, but it may not be so. To tell you the truth, one has to go through various procedures in order to start with the AC rental business. Some of the possible procedures of the rental service have been detailed in the following part of the article. This AC rental service is only possible to operate in cities, and therefore, the people living in the rural areas should not take the risk of starting this rental service. It is quite obvious from the reason that the people in the rural areas may not have the sufficient amount to afford an AC machine. 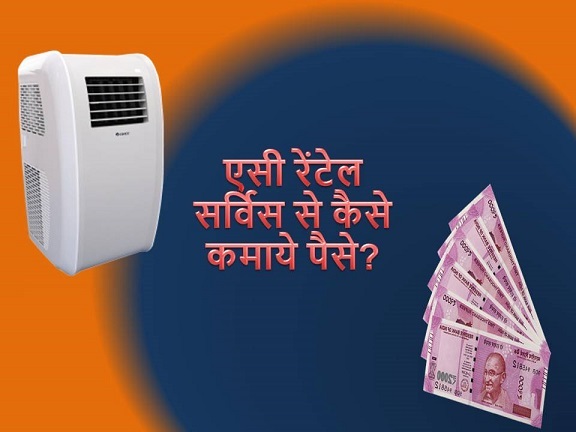 To start an AC rental service in the city, the business person has to rent an office premise from where he would start operating the business. While selecting the office premise, he should be careful about the structure of the business unit. It should be such that it has at least two divisions. The office could be set up on one part, and the repairing could be done on the other side of the building in the same building. It would be helpful for the business to save money in the business infrastructure. In addition to this, you have to search the rental area such that ACs can be kept for rent. The area should be such that the office can be easily established on it. Also, it is necessary to know about the area well such that the entrepreneur would be able to grab the attention of the customers in that area well. When the service provider is unable to get customers, it will run a great loss in the business. Besides, it is also necessary to take the business rent as it would be necessary at the time of business registration. When starting with the AC rental service, it is necessary to make the investing effectively such that the business person gets an effective return. In the initial stages, it is better to make a small investment and then proceed further depending on the outcome from the investments. Having proper licenses and registration pertaining to the business helps to stay out of any kind problem. In addition, GST registration should also be done. In case the entrepreneur wants to show itself as a business unit to the clients, you can also opt for the same by following certain procedures. The company should have permission from the local panchayat along with the municipal corporation. Before starting the rental service, the entrepreneur has to buy the AC machine with which he would start the business. In the initial stage, it is better to start with a few machines. As the business starts to progress, the entrepreneur can try to invest in more machines. Try to maintain the quality of the services such that it can be easy for rent and customers do not come up with frequent complaints on the same. Also, check the machines should not consume high power as it might bring in complaints from the customers who are renting the machine. Therefore, you should be careful about the details of power consumption and the functioning of the machine before buying the same. After you have set up the AC rental business, it is time to hire individuals who are experienced in the field. These experienced people would form the team of experts who would take care of the rental service. In addition, they would also look after the servicing of the AC machines whenever required. They would also perform the necessary tasks required in handling the rental service. The experienced staff should also be responsible for looking after the technical part of the business. After starting the AC rental business, the very next stage is to market for the service that the business organization is providing. It can be done via print media, pamphlets, posters, banners and other means. Whichever means the service provider adopts, it should easily reach out to the target audience. Also, it should be within easy reach of the audience. The advertising means would speak up for the business and give enough reasons for the customers to opt for the rental service. The business should adopt effective marketing techniques such that they are able to market well and grab and retain the attention of the target audience. After gaining popularity in the market, people would try to contact your service via phone and other means of communication. For this, it is important to provide quality service to the customers. This would also help to maintain a firm position in the market and implement business strategies effectively. The more customers’ attention the business organization is able to grab, the more it would be able to earn. Thus, winding it up, it is necessary to provide quality service such that it would be able to grab the attention of the customers more. Also, if the rental service provides poor quality service, it would not only weaken the position in the market, the service provider may not be able to retain the customers in future. Therefore, providing good service and after service, assistance would help to bring in more customers and also maintain a firm position in this competitive market. 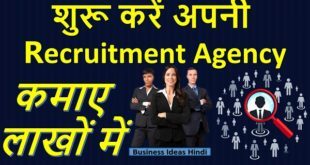 How to start a Recruitment Agency without experience?